Contrary to popular belief, Jen does not caffeinate. Her enthusiasm for life exists in its truest form. Jen is the Senior Client Services Representative for Ticket Alternative’s companies TA Ticket Printing and Eventwristbands.com and she is The Company Cheerleader. From the start of the day to the last few minutes, Jen has a smile on her face 24/7. Clients and customers love her cheerful and energetic attitude. It can simply lift your spirits. Jen is also crazy passionate about the Atlanta Braves. She attends games every week and can talk stats and scores with the most knowledgeable MLB followers. 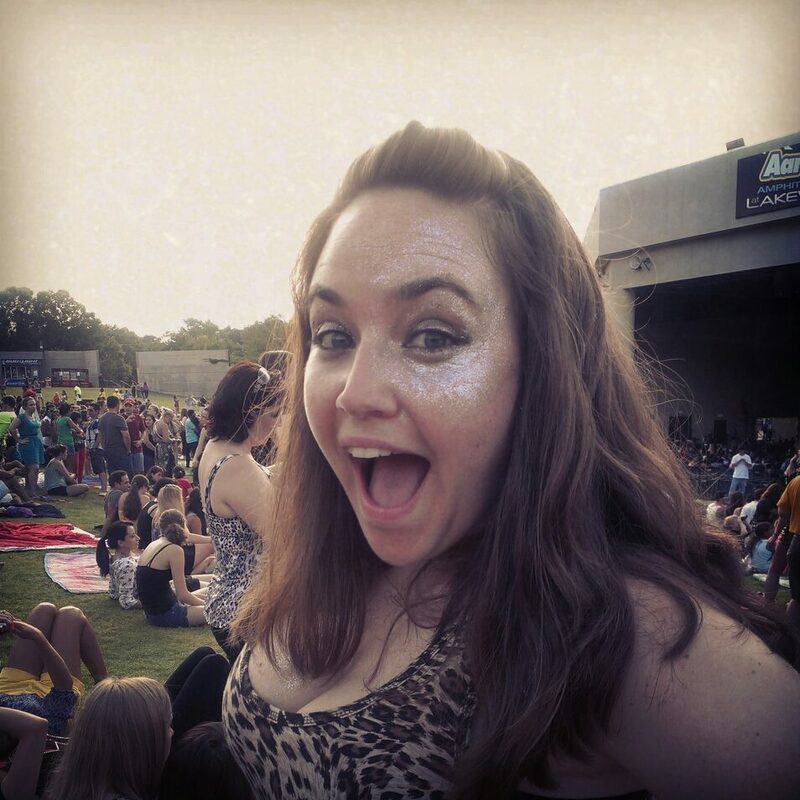 Learn more about the fantastic Jen in our Awesome Hour interview! Believe me- this interview will leave you laughing for days! How long have you worked at Ticket Alternative’s companies TA Ticket Printing and Eventwristbands.com and what has changed the most since then? I was hired in April 2011, so just over two years. There have been a few different changes since I started. We updated our ticket printing website last year, which has made it easier for customers to design their tickets and most recently, we started offering same day shipping on custom Tyvek wristbands! What kind of projects do you enjoy working on at TA Ticket Printing and Eventwristbands.com ? I love that I get to do a variety of things. I’ll process orders for a few hours and then I get a chance to step away from my desk and pack orders for a little while. Our main concern though, is helping our customers. I enjoy talking to different people, so helping customers get to know our product can be really fun. Sometimes people don’t know how fast they’re able to get their tickets, and when they find out they’re excited, which makes me happy. We know that you’re a huge Atlanta Braves fan! Did you grow up a Braves Fan? Tell us about your favorite Braves moment! You know, I wasn’t always as into the Braves as I am right now. I always liked baseball, but I really got into the Braves after I graduated college. I have seen the Braves do some really great stuff, clenching playoff berths, walk off wins, players’ milestones etc., but my absolute favorite moment ever, especially to talk about, is May 20, 2010 vs. the Cincinnati Reds. I have to paint the picture: It was a 1 o’clock game on a Wednesday, which means it was 90 degrees out and Turner Field looked like a ghost town. There were 6 people in our section that day, and I remember it was 6 exactly, because we all lost our minds together at the end of the game. After being down 8 runs for most of the game, by the bottom of the 9th we were looking at a 9-3 loss. My cousin and I had endured a Reds fan taunting us for a full 2 and a half hours, before he figured the Reds had it in the bag and left. Well, the bottom of the 9th rolls around and we get a few hits, the Reds make a couple errors and the Braves score a few runs. Then, with the bases loaded and one out, Brooks Conrad (not even a starting player) hits a ball that just barely makes it out of the park, winning the game. Which caused the 5 people left in our section to go absolutely nuts. This couple at the other end of our row comes running over to high five us; there was a lady that could’ve been my grandma, sitting behind us that just kept yelling “I DON’T BELIEVE IT!” and we all high fived her! It was absolutely, hands down, the most fun time at a game ever. It’s also why I will NEVER leave a game before it’s officially over. Since the Best Week Ever blog died last year (RIP), I’ve really been struggling to find a perfect daily blog that mixes pop culture and comedy. I usually just check out Vulture. So please, if you know of any, send them my way! Every Sunday though, it’s all about PostSecret. Do Tina Fey and Amy Poehler count? I love comedy and I’m absolutely obsessed with these ladies! They’re smart and funny, and they’re just themselves! They don’t apologize for it and just seem like awesome people. I wish that I could be best friends with them, and Mindy Kaling, and Kristen Wiig and Maya Rudolph and Aubrey Plaza and Rashida Jones….Is this getting weird? If you could travel to anywhere, where would you go? I’ve never been out of the country, so think of the most touristy place that’s not the U.S. and that’s probably where I’d love to go. So, London? Paris? Rome? Within the U.S., definitely Los Angeles, there’s lots of cool comedy things happening there right now. BOOK OF MORMON!!!!!!!!!!!!! Also, Cults at the Loft should be really great. Saturday Night Live, Community, Mad Men, Game of Thrones, Drunk History, Parks and Rec, American Horror Story… Everything. Cayucas, Vampire Weekend, One Direction, and every 90s song ever. What’s the funniest/weirdest thing you’ve hear around the office? The thing I love about my coworkers is that we are so crazy in the very best way. The funniest/weirdest thing is ticket printing’s constant campaign to hire a tiny monkey. We have so many uses for him! He could bring us papers from the printer, carry orders to the print room, answer the door and even give us massages with those tiny monkey hands! Follow Jen on Twitter at @itsjentastic. JENNY B!!! LOL ….She’s my fav!